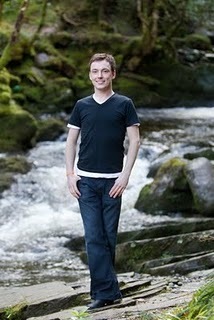 Feis America caught up with our friend Shane McAvinchey, TCRG - a star of Jig! The Film - to get the behind-the-scenes scoop and find out what's next for this internationally-renowned performer, Irish dancing teacher and entrepreneur. Feis America: What was your first reaction when Sue Bourne contacted you about including your ceili team in Jig? Shane: I was absolutely delighted! When I first went to Russia to teach I was amazed by how dedicated these people were to Irish dance. There have been so many times when I have been teaching a class in the suburbs of Moscow and been amazed by the hard work and dedication of these dancers and just wished that other people could see it too. When Sue Bourne told me that she wanted to feature them in the film I was excited that finally they would be introduced to the world and show what passionate and dedicated dancers they are. Feis America: How long have you been working with this particular team? Shane: The teaching team of Tir na nOg is made up [of] three TCRGs - Mary Sweeney ADCRG and myself based in Germany and Anna Demchecko TCRG based in Moscow (Anna is also the first fully-qualified TCRG in Russia!). We have all been working on the team for a number of years with Anna having regular classes up to four times a week with the team and Mary and/or myself flying into Moscow for weekend workshops on a monthly basis. The team has been to the Worlds and All Irelands a number of times and each year they are coming closer and closer to being recalled to the final rounds. They are a pleasure to work with and after the amount of time spent together we all understand each other, even when there are language barriers! Feis America: Describe the actual circumstance which kept some of your team members from getting to Glasgow for the 2010 World Irish Dancing Championships? How did you overcome the obstacle? Shane: Unfortunately, two members of our Ladies' Ceili team were refused a visa for the United Kingdom at the very last minute. The Russian people usually have to get a visa to travel just about anywhere outside their country, even if it is just for a visit, and it is notoriously difficult for them to get them. In this case, we had invitation letters from An Coimisiun le Rinci Gaelacha (CLRG), letters from ourselves (the directors of Tir na nOg) and all the proof that was needed to show that these girls were taking part in an international competition and still there were problems. There is usually no real certainty when the team is applying for a visa so we really have to rely on luck. We are hoping that the popularity of the Jig! movie will make things easier in the future. Feis America: What are your thoughts as a TCRG on the film itself? What were the team members reactions to seeing themselves on film? Shane: I absolutely loved the film. I was lucky enough to be in Ireland when it was released there and I think it is an absolute boost for Irish dance and will really show people what our world is all about. I was so proud of Sue Bourne's work in portraying the Irish dance world and how she found the true spirit of it and didn't just take the easy route and focus in on 'the wigs, the make-up and the false tan' as many news and TV agencies seem to always do. I remember when I met Sue first I was amazed at the types of questions she was asking which were so unlike the ones I was used to ("Why the fake tan?" "Why the makeup?" "Why do Irish dancers hold their hands by their sides", etc. etc.). Sue's questions had heart and I knew the film waas going to have heart too. Unfortunately, our team have not yet really had the opportunity to see themselves on film! I know that they really want to so let's hope that Jig! becomes so big that it is show in Russia! Feis America: What's next for Shane McAvinchey? Shane: Right now I am keeping myself busy doing the things I love - teaching and co-directing the Tir na nOg school which has locations across Germany, Poland and of course Russia; I have recently launched the new Irish dance instructional website, Diddly Learn with my brother which I am really excited about; [I am] completing a post-graduate business degree here in Munich, organising events, summer camps and workshops around Europe and of course, my main passion: performing from time to time too! I have loads and loads of ideas and plans in the works so I am just trying to take it one step at a time! I cannot wait to see what's next for me but all I hope is that I can continue on my mission to life life to the fullest, keep developing new ideas and projects and of course carry on dancing and being happy! What more could I want? For more Irish dancing news delivered straight to your mailbox every other month, subscribe to North America's favorite Irish dancing magazine, Feis America, today!